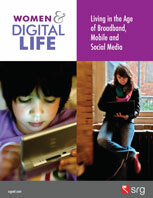 We are pleased to be rolling out our findings from our Women & Digital Life research study. The first edition of the study last year received very positive feedback and we decided to launch a follow-up. We designed it to be a one-stop information source for women and digital life: broadband, gaming, online video, social media and wireless. Based on over 2,000 in-depth interviews with women in the U.S. (aged 12 and up), the study captures all key lifestages: singles, couples, moms and empty nesters. And there are special focus reports on Hispanic and African-American women, as well as an upcoming Canadian edition. We will be rolling out our findings over the next several weeks—first up, evolution of TV viewing in the age of DVRs, video-on-demand and online video. Thanks to the recession, life has moved closer to home for the typical American woman. Women tell us that time spent on household-related activities is up—fully 41% say they are spending more time cooking in the home, for example. Perhaps as a kind of escape, time with TV has increased, and the Internet, in an entertainment context, is siphoning more leisure time from women. Fifty-eight percent say they are spending more time with the Internet and 38% say the same for TV. The losers in the equation are: going out for shopping (52% saying they are doing less); exercising or sports (33%); or sleeping (27% saying less). The research suggests that the time women spend with both Internet and TV continues to grow. How women are watching television provides some clues as to what is going on: ambient video entertainment is now everywhere, with TV providing the background to most activities. 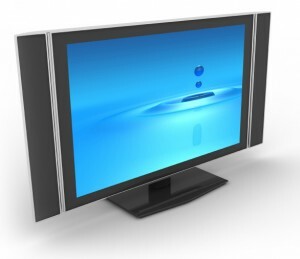 For 58% of women, the TV is on most of the time “in the background” at home. And multitasking with a laptop or wireless device is now commonplace as more women have one or both devices: half of women with laptops say they have their laptops with them ‘almost always’ or ‘frequently’ when watching TV in the evening. Another 18% use their laptops when watching TV in the evening ‘occasionally.’ In addition, 52% say they are using their wireless device while watching TV at least occasionally. TV is more likely to be “in the background” for women 25-39 (64%) and moms (65%). And considering the amount of multitasking with laptops, it’s not a big surprise that even favorite shows are watched with only partial attention by some—52% agree that “they usually pay full attention while watching their favorite shows” but 28% disagree and 19% are in between. Internet use in the first hour after waking up in the morning is a bellwether of significant change in American media lifestyle, finds the research. When we look at the important advertising demographic of women 18-49, we see that online use (47%) now edges TV (46%) in the first hour of the morning and mobile comes in as number three (21%). In contrast, only 17% of 18-49s listen to the radio and 14% now say they read a physical paper at that time. What are women doing with their time online? Watching video, shopping and social media are the three key activities on broadband. Beyond the number of people sampling TV on the Internet, our research shows a greater generation gap between those who are watching TV online and those who are relying only on traditional cable or satellite TV subscriptions. 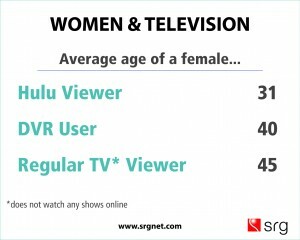 The average age of a female Hulu viewer, for example is 31. At the other end of the spectrum, the average age of a woman who regularly watches TV on cable or DBS (and never online) is now 45. Twenty percent of online women have a video-capable digital media player such as a video iPod. The most popular form of video content on mobile devices is a TV show (33%), followed by full-length movies (24%) and music videos (20%). Mobile video is one area where there is a significant generation gap, however: while 19% of those 12-24 have watched a TV show on a video device such as an iPod sometime in the past, only 3% of women over the age of 40 did the same. Kids impact their mother’s media habits. And sometimes what is an electronic pacifier for kids—gaming, Internet or a DVR—is a coping mechanism for Mom. In DVR/TiVo households, 79% of women with children under 12 ‘frequently’ or ‘always’ record programs for the kids. And 72% use VOD for their kids. And in a mobile context, just over half of moms with kids under 12 say they let them use their iPods and for those that do, close to 40% have downloaded the video content mainly for their kids. The four network brands are the leading channels women say they would keep if they had to live with a limited set of channels. In fact, 80% would keep at least one of the big four, if they had to give up most of the channels in their subscriptions. 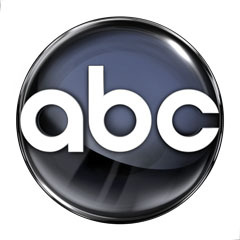 Among women 18-49, Fox and ABC tie for the top spot as the leading “must keep TV” brands, followed by CBS and NBC. The top cable brand among women is Lifetime, followed by Disney, Discovery, The Food Network and Nickelodeon. Moms identify Disney and Nickelodeon as the two brands their kids would keep by a large margin, with Disney taking the top spot—and these two reach a large number of moms as they co-view with their kids—96% of moms watch TV with their kids and 58% do so daily, according to the research. Technical Stuff: This is the first in a series of releases from the Women & Digital Life study which is based on over 2,000 in-depth interviews and explores how women navigate in the age of broadband, mobile and social media. This release contains information from the TV chapter of the study. Women & Digital Life is an independent syndicated study conducted by SRG (Solutions Research Group). The fieldwork for this study was completed in December 2008 among a representative sample of 2,000 online American women consumers 12+. The sample captures all major population segments, e.g., parents with preschool kids, tweens or teens, young women, and empty nesters. Sample design included an oversample of African-American and English-speaking Hispanic women. Where applicable, the results are compared to a similar study undertaken by SRG in 2007 among 1,508 women, plus focus groups conducted over a 2-year period.